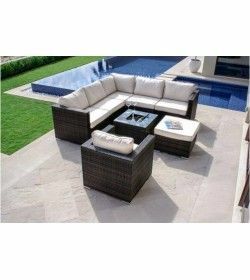 Price Reductions There are 38 products. 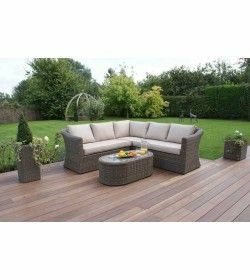 Relax in the garden complete with a large beige seat cushion and plush back cushions that offer nothing but comfort for you and a guest. 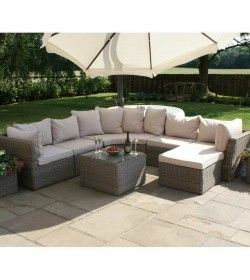 This stunning daybed compromises of two large side openings and is made with a lightweight powder coated aluminium frame. 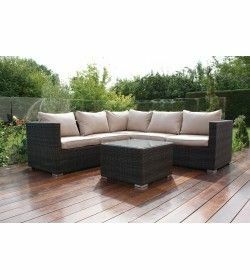 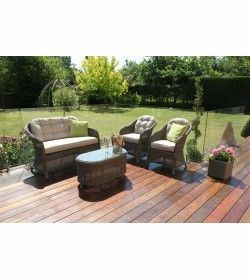 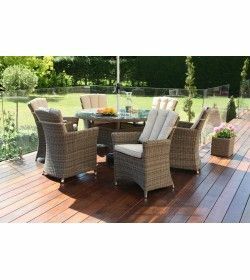 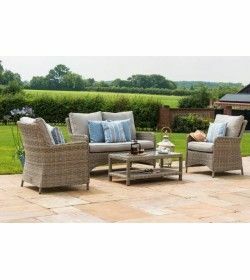 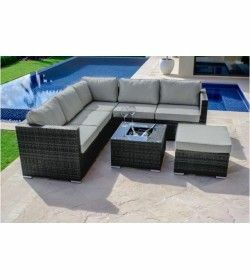 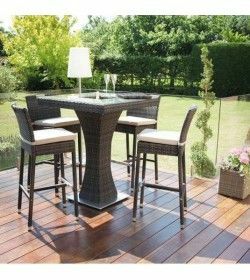 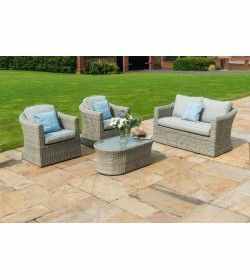 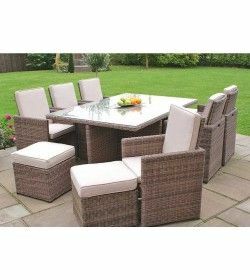 The Victoria 6 Seater Rectangular Dining Set is composed by 6 square Chairs and a Rectangular Table with a Glass templed top.The highest quality materials and fully weatherproof rattan is what is used to make all of our product ranges. 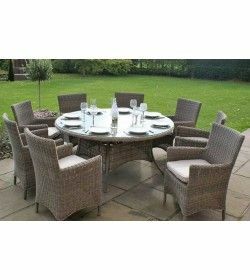 The Victoria 6 Seater Round Dining Set i composed by a 6 x Rounded Armchairs with 1350 Round Table and templed Glass top.